It's not an endurance racin' Porsche until a Puffalump sits on it. Disclaimer: It's just a show car. The real one was too closely guarded to lick, and I can respect that kind of dedication to serious business. 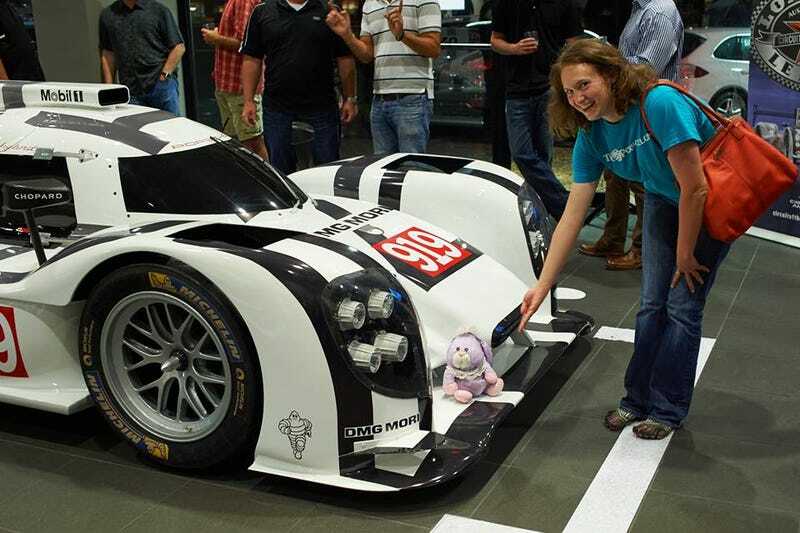 But hehehehehehehehe, PUFFALUMP ON A 919!